Designed for 3D trainer. 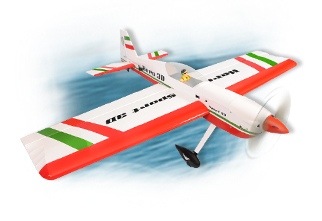 The Hero from Phoenix model is a versatile aerobatic aircraft that lets you fly any way you want. From knife-edge to harriers, flat spins to hovers, the Hero has the 3D maximum you demand. The kit includes all that you need other than radio, engine and adhesives to get to a flying standard.